Product Details- Composition- Oatmeal and Chitosanide. Features- Spherulites provide slow release of ingredients, Chitosanide creates a protective film on the skin and hair. Use- Reduces bacterial and yeast adhesion, Soap-free shampoo soothes and controls mild itch of dry and sensitive skin. Suitable- Dogs and Cats of any age. Quantity - 200ml. 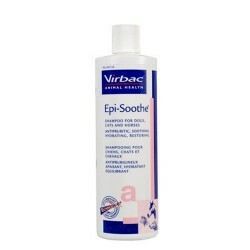 Product Information-If you have a pooch or a cat who has sensitive skin or skin prone to dryness- rashes, Virbac Epi-soothe Shampoo is ideal for bathing them. 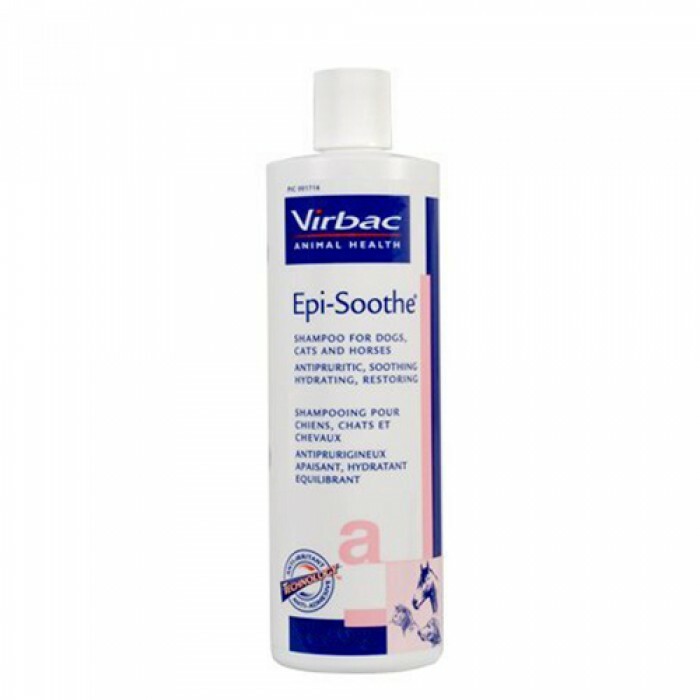 Made of natural ingredients, Virbac Epi - soothe Shampoo is soap free and protects the skin while gentle cleaning and conditioning the fur. The natural oat based ingredients reduce the growth of micro - organisms and leave a healthy clean skin. Direction for use-Store in a cool dark place. Wet the hair coat with warm water and apply a sufficient amount of shampoo to create a rich lather. Massage shampoo into wet hair coat, lather freely. Allow to remain on hair for 5-10 minutes then rinse thoroughly with clean water. Rinse and repeat. May be used regularly or as directed by veterinarian.